Hi – Bye! It was nice knowing ya. September 23, 2012 September 10, 2014 Categories UncategorizedLeave a Comment on Hi – Bye! It was nice knowing ya. Our first Open JWW run was on friday. I started to show glimmers of actually coming up closer to Roy’s skill level. 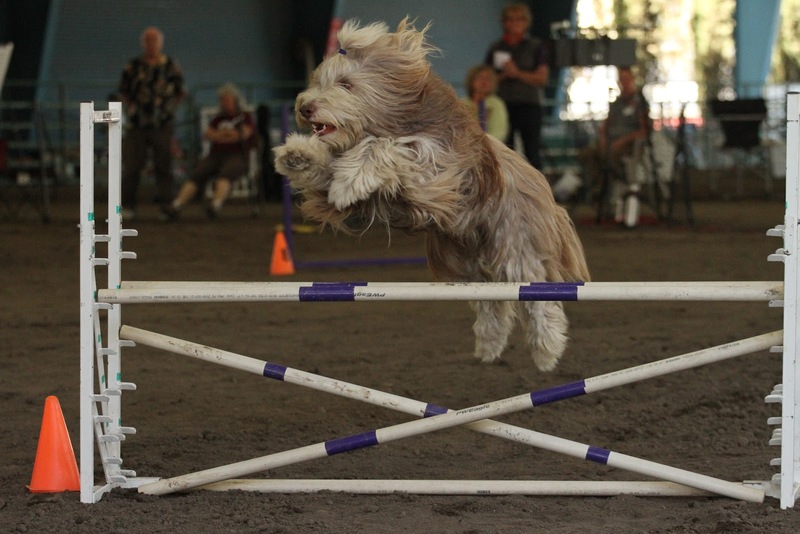 Its not so easy to babysit everything in open so I had to not only run, but do some front & rear crosses and trust that Roy would not bite me for my slowness and late cueing.I’m an awful agility handler, just awful. Friday we got first loser! 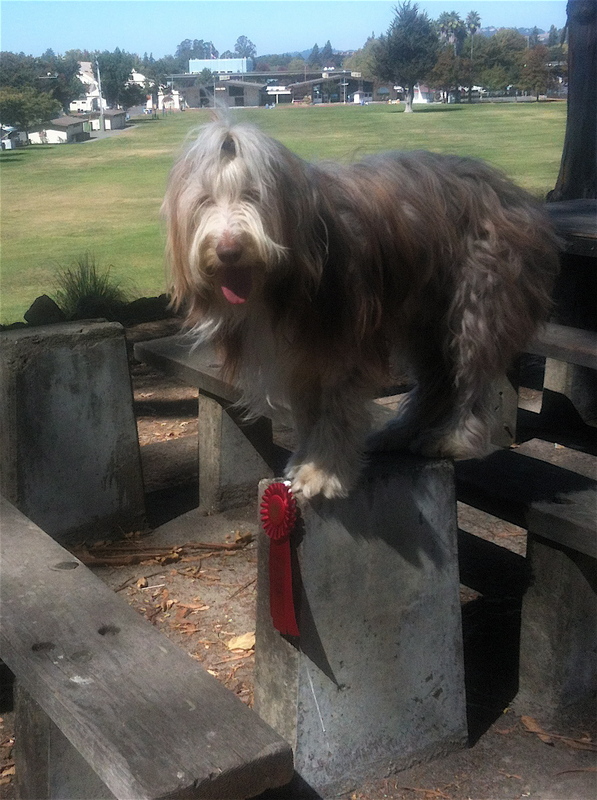 And from friday heres Roy’s first OFFICIAL agility photo from a competition. Watched our videos, it appears I may have been running in high heels. I just noticed I didn’t wear my glasses friday or saturday while running the courses! Im not totally blind without them but everything is in watercolor. Given my slight tendency to develop superstitious behavior and our good luck this weekend Im probably going to think I should never wear my glasses while running courses. We’re super slow. But thats how I work. Im into precise movement, Im a control freak. Im trying to be careful to not flatten out Roy. We can gradually build speed – we have years at this game ahead of us. Saturday our second Open JWW run and First Place! 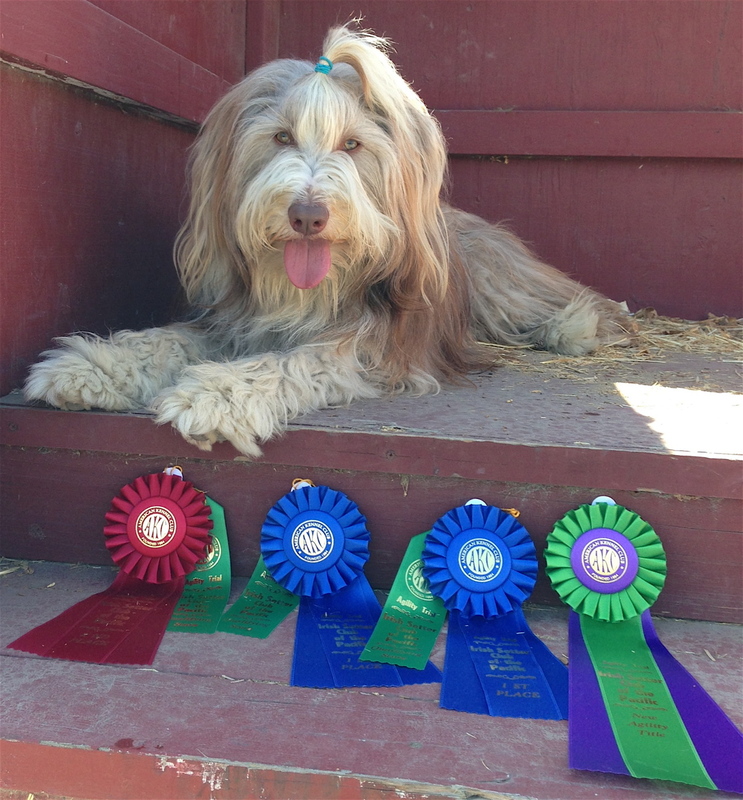 Today-sunday, Roy got First Place and his OAJ Title. So bye Open JWW it was a fun weekend wish we could have spent more time together – not really. We’re super not ready for excellent but, Im just going to use excellent to work on running faster and not worry about getting a Q for awhile. Roy was really comfortable at all 3 of our trials, some worries about barking dogs and he doesn’t want to stand in the center doorway at santa rosa. He had a few dogs lunge at him fairly aggresivley and he handled it really well. 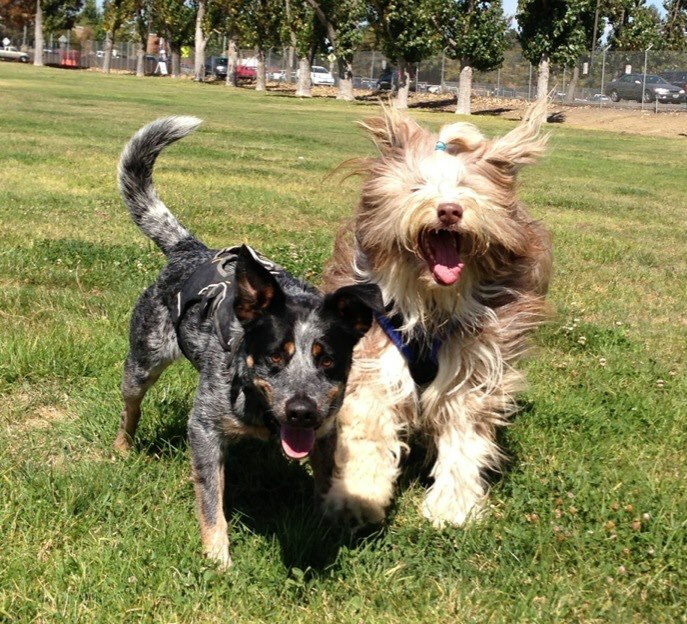 His tolerance for ignoring aggressive dogs is so much better. But I suspect we could be pushed back to baseline fear pretty easily, so I need to continue to be careful to keep him shielded while also continuing to pad him up to handle bad behavior from other dogs. He’s come a long way from the attacks last year. He’s not collapsing to the ground and urinating all over himself or trying to drag me away at the first signs of hostility from another dog. I don’t even think most people would even see when he gets worried now-which is good, it means he has learned to trust that Im listening to him. He has toughened up and also knows Im paying attention to subtle signs. 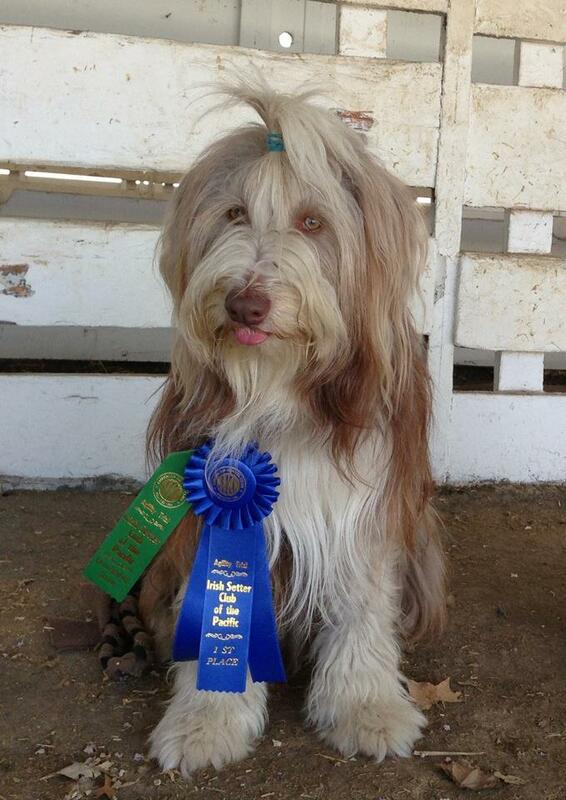 I also think he just likes agility so much that he isn’t thinking about what the other dogs are doing as much. YAY! Roys big reward for his big weekend in Open was to get to be super annoying and chase Zero around the fairgrounds for an hour after the trial was over. Zero’s reward for putting up with that was to get The Bumper.